Whether you're booking through a travel agent or on your own, you should inquire about senior discounts. It's no secret that cruises appeal to retirees. In fact, some travelers still subscribe to the notion that vacations at sea are exclusively for the "newlywed and nearly dead." While that characterization may have been true a decade ago, today's cruise lines attract just about every type of traveler and appeal to various interests. Whether you want to sail solo, with several generations of family members or even with Kid Rock fans, there's a cruise for you. So what does this diversification mean for the 50-plus crowd, the industry's largest demographic and arguably its original customer? It means retirees have more options than ever before, with onboard activities that range from wine tastings to art programs to tango lessons. But while sedentary games of bingo may be a thing of the past, there is one aspect that hasn't changed: the extra steps retirees have to take when planning a cruise. From selecting the right itinerary to staying healthy at sea, here are five things every senior traveler should know before setting sail. A ship's size can be a key indicator of what the onboard atmosphere will be like. For instance, megaships from lines like Royal Caribbean International, Carnival Cruise Lines, Norwegian Cruise Line, Princess Cruises and Disney Cruise Line carry between 2,000 and 6,000 passengers and boast a bevy of amenities like water parks, rock climbing walls and Broadway-style entertainment. Thanks to their variety of activities and affordable cabin prices, these ships attract families. But that doesn't mean these cruises neglect the needs of their 50-plus passengers: because some of the ships in this category are so large, they're able to offer designated adults-only areas on board. If you're planning a big family vacation, this may sound like the perfect balance. But if the sheer size of the ship, the high passenger-to-crew ratio and the number of kids has you concerned, a midsize ship may be a better fit. Midsize ships, which typically carry 1,000 to 2,500 passengers, don't wow with copious amenities and instead focus on providing a more intimate environment (for example, you'll find one or two pools instead of seven and a library instead of an ice-skating rink). Midsize ships are part of fleets like Celebrity Cruises, Holland America Line and Crystal Cruises, among others. And then there are the small ships. These ships generally carry fewer than 1,200 passengers and dazzle not with their over-the-top amenities, but with their low passenger-to-crew ratios, fine dining venues and more diverse port offerings (in other words, they're not geographically limited because of their size). Look into sailings offered by Regent Seven Seas Cruises, Azamara Club Cruises or Silversea Cruises if you prefer the amenities and personalized service provided by smaller ships. This rule doesn't just apply to seniors, but it's especially important for retirees since the itinerary can set the tone for the entire cruise. For instance, Caribbean and Mexican itineraries tend to be shorter and less expensive, and as such are known to attract a large percentage of young families and couples. Some Caribbean itineraries are also known to host lively (read: rowdy) deck parties. Not interested in a conga line or organized dance contest? Steer clear of these sailings. Aside from the ship atmosphere and your fellow travelers, Caribbean-bound cruises may also offer more active shore excursions like scuba diving, hiking and zip line tours. That's not to say Caribbean voyages lack cultural enrichment or even mild activities like walking or bus tours, but the selection isn't as varied as other itineraries. If you prefer relaxing on deck or on your own private balcony while impressive scenery passes you by, you may want to consider a cruise to Alaska, Europe or even a trans-Atlantic voyage or leisurely river cruise. These longer trips focus more on enrichment (both on board and off) and may allow for more exploration in port. For example, in Skagway, Alaska, cruisers can hop on the historic White Pass Scenic Railway and travel through tunnels and past gorges, mountains, waterfalls and valleys to reach the 2,800-foot summit of the White Pass all in the comfort of a vintage rail car. And if you're on a European sailing, you can sign up for canal tours in destinations like Amsterdam and Copenhagen, Denmark, allowing you to sightsee at a more relaxed pace. Whether you're booking through a travel agent or on your own, you should inquire about senior discounts. 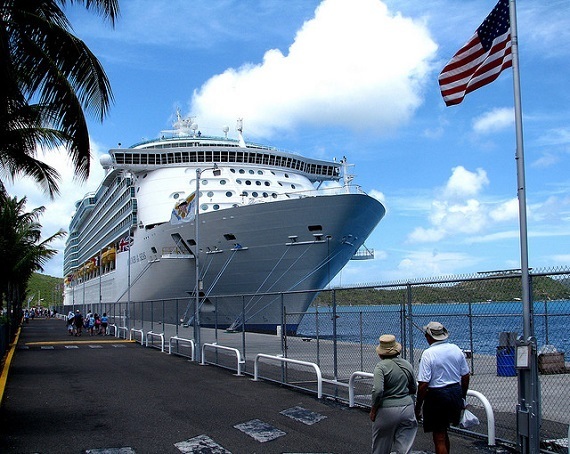 For example, lines like Royal Caribbean and Carnival offer discounts for passengers 55 and older on select sailings. And if you're an AARP member, you can save up to 5 percent on all Norwegian sailings as long as you book your cruise nine months in advance. Plus, AARP members can score a $100 onboard credit for select Norwegian sailings. The association also offers discounts for Windstar Cruises, which operates a fleet of small luxury ships. You can find a comprehensive list of cruise discounts and onboard extras on the AARP website. Cruise vacations can have complicated itineraries and sometimes just one misstep can derail the entire trip. This is why many experts recommend opting for travel insurance, and not the kind provided by your cruise line, which can be limited in its coverage. Though coverage can vary widely, most travel insurance policies will help you get reimbursed for canceled trips or even assist you in rebooking your flights or lodging. The Centers for Disease Control and Prevention recommends travelers consider purchasing three types of insurance: travel insurance, travel health insurance and medical evacuation insurance. These last two insurance options are particularly important for seniors as they can provide coverage for an unforeseen illness or injury. And remember: You shouldn't assume your regular health insurance covers you while traveling. Most plans (including Medicare) do not provide coverage outside of the U.S. If you have a pre-existing condition that you worry may disrupt your trip, make sure to get a pre-existing conditions waiver when purchasing your travel insurance. This means any expenses incurred from a recurrence or relapse due to a pre-existing condition are covered. It's easy to overindulge at the buffet, imbibe in one too many cocktails at the martini bar or exhaust yourself while sightseeing. When selecting your shore excursions, read the descriptions carefully - most cruise lines categorize excursions based on activity level, making it easy to choose one that suits you and your current health condition. To avoid feeling ill or experiencing a trip-ending health setback, remember to take it easy - you're on a cruise, after all.